There’s a support ticket I’ve had open for a while, and I’m not sure what to do about it. Normally, by design, the system automatically applies membership benefits. If you’re a member, you can’t NOT use your membership for a transaction. But if e.g. membership gives 1 free ticket per show, and you’re making a booking for e.g. a child or a friend, and you plan to go yourself later, then you don’t want to use your membership benefit up on the booking for someone else. It’s not quite as simple as “just make it optional” though. Having an extra button on the screen is still a cost: there’s one more thing for people to get confused by and have to have explained and to find space for. So - for this marginal edge case, should we have a way of NOT using your membership benefits on an order? Or should we just tell people to create a new profile when they want to buy a ticket but not as a member? For my reference: the support ticket is https://monad.freshdesk.com/helpdesk/tickets/2238 and I’m closing it now. could it be something we control from the membership status page? Perhaps a “pause” button that applies for the session only. But they’re staff only. I’m not sure whether this option should be available online? problem is that the tickets themselves might only be available because you have a membership. i think i agree with you here “just tell people to create a new profile when they want to buy a ticket but not as themselves”. what are the other use cases for not wanting membership benefits to apply? if it’s just adjusting the benefit, then perhaps changing the benefits to be more descriptive (Gold Member Saving: £3.50) and having a remove button. Removing the saving would be worse, because the saving is automatically recalculated every time anything happens to the basket. We need to persist something to say “Don’t add the saving” - just deleting the saving won’t have any effect. 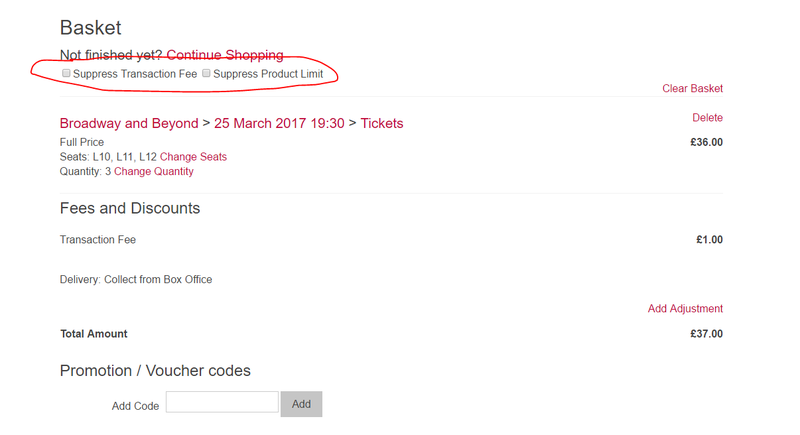 If the tickets are only available because of a membership, and you say “don’t use my membership this session”, it should kick the tickets out of the basket. That would happen automatically. 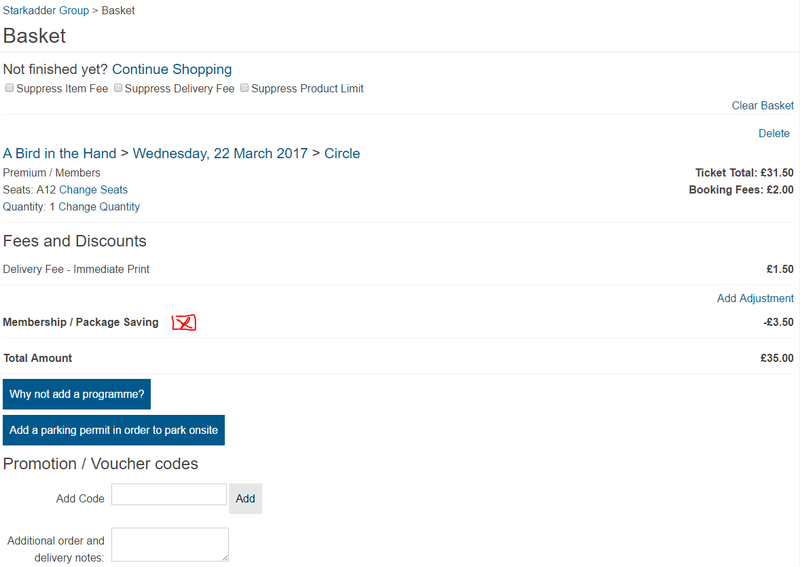 Membership statuses that apply because you have a product that confers memberships in the basket. What’s required is to turn off (1) and then everything else follows through. i think “suppress gold membership benefits” and a checkbox would work for customer service. if it’s for public then it needs a bit more explanation not to be confusing. I think we’d make it all memberships or nothing. Individually suppressing ONE membership whilst leaving another one active is just way too fiddly.